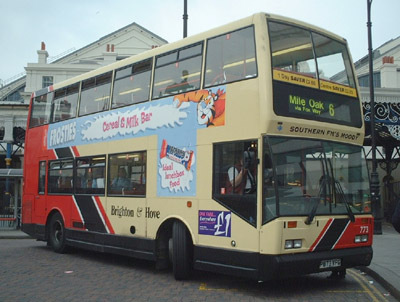 Connections with Brighton and Hove : One of two chances to have your name on the front of a bus auctioned at the Argus Appeal in 2001, raising over £5,100 for charity. 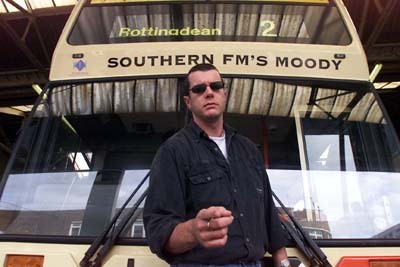 Southern FM’s boss bid for this and chose Moody who worked on the breakfast show. Displayed from October 2001 until September 2002. 773 Scania Cityzen carried name from October 2001 until September 2002.